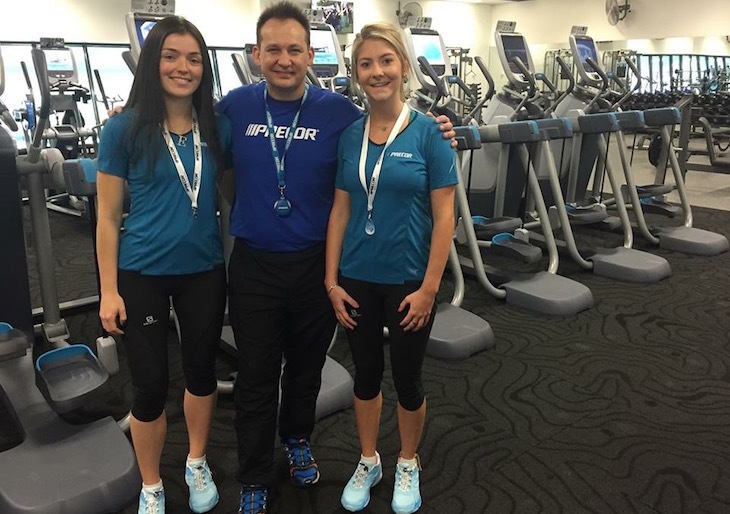 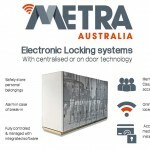 Metra Australia – We are a Melbourne based company that provides corporate locker and electronic access solutions within Australia. 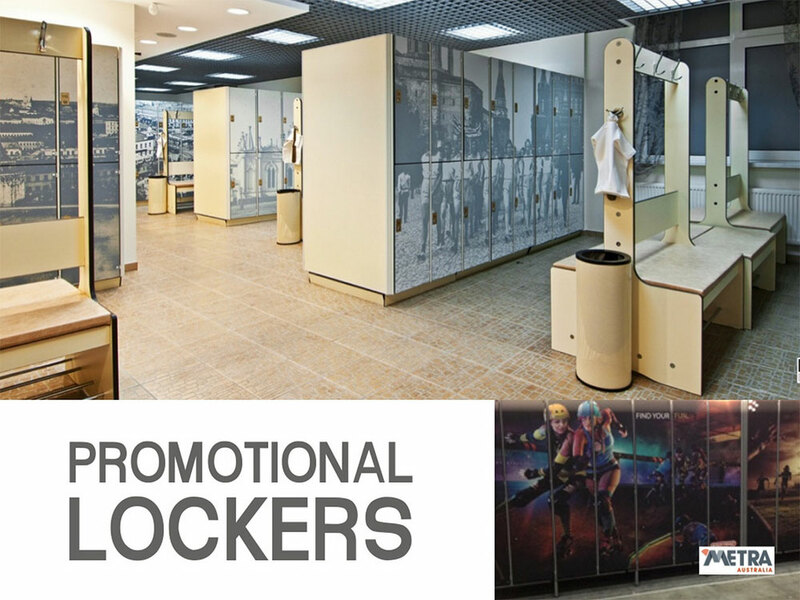 Our lockers are made from high pressure laminate, a high quality and robust material that can withstand heat, moisture and include antibacterial properties that make them a hygienic choice for health centres, schools or medical offices. 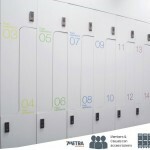 Our lockers have a number of unique properties including recessed doors making the lockers highly secure and give an attractive flat finish. 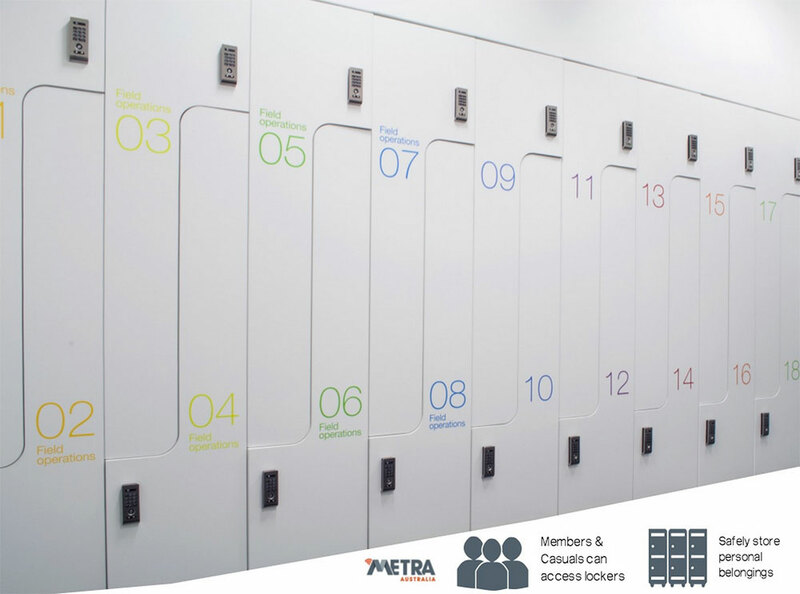 The self closing hinge system requires no maintenance and our bespoke products make the lockers simple to incorporate in any interior construction. 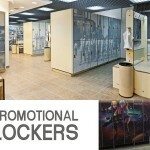 There is a wide range of colours to choose from as well as engraving options and handles to give your lockers their own identity based on comfort and design that is consistent with your style or the appearance required. 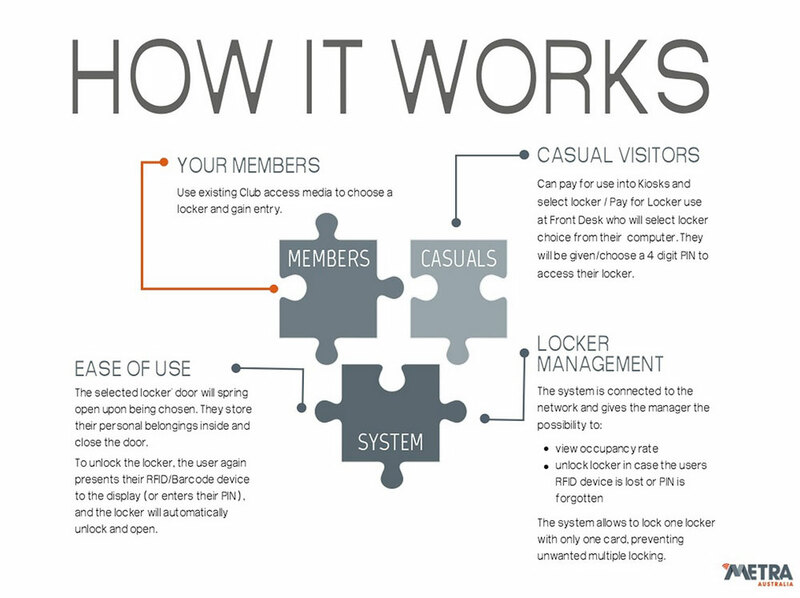 High performance alternatives to coin or padlock systems. 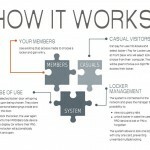 Hardwire/ Electronic Locks are motor driven, low maintenance, highly secure and alarm triggered simple locks. 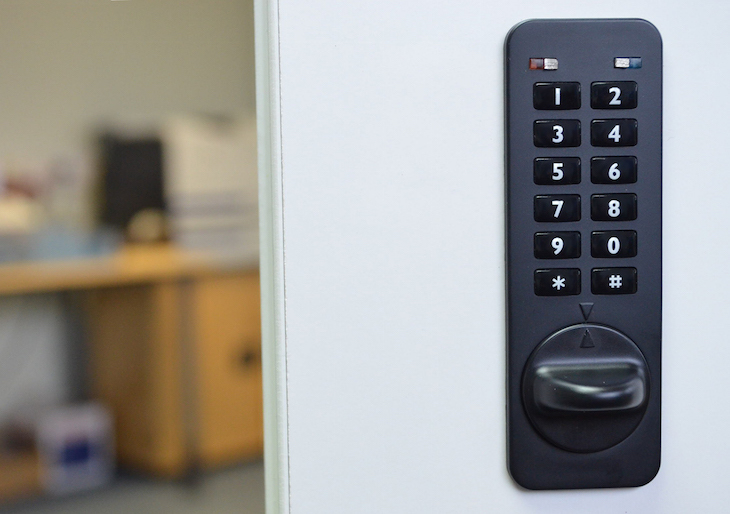 Battery Locks are easy to manage and support a wide range of user keys and different levels of access control. 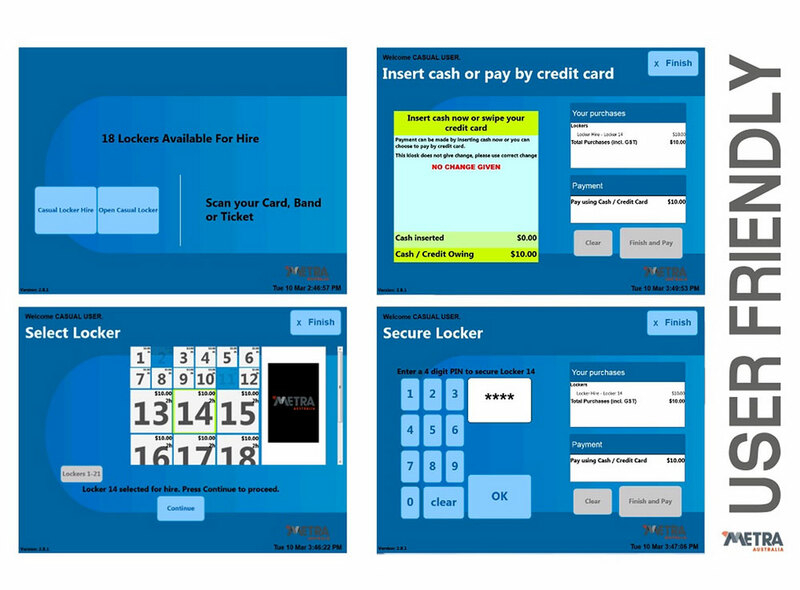 Both are compatible with a range of keys, cards, fobs or RFID/ barcode scanners. 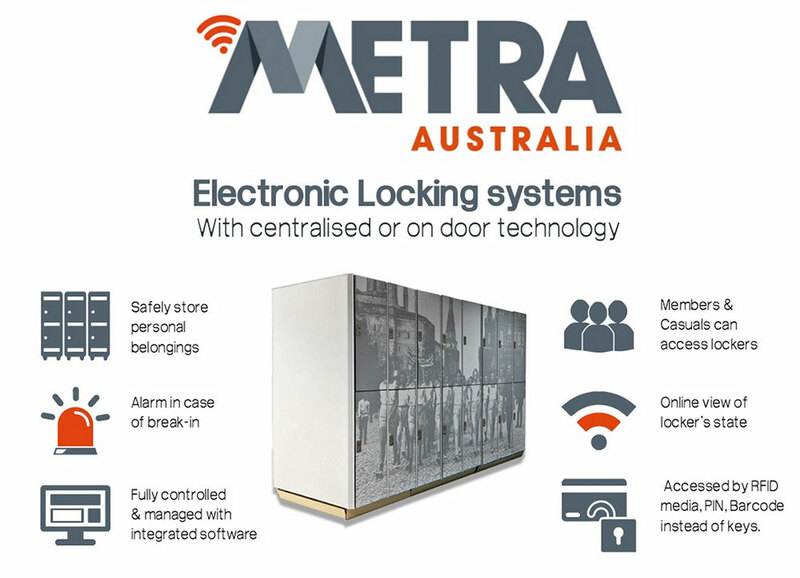 Metra Australia locks and lockers are compatible with RFID rags, PIN codes via reader terminal touch screens, scanners and FOBs; enabling user interaction. 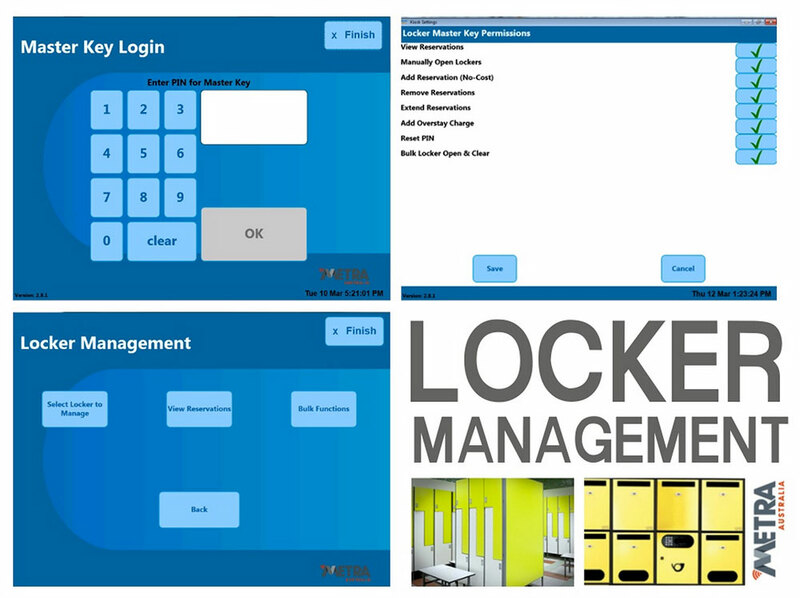 The terminal screens show alarm messages if an attempt of break in is detected when an electronic lock is connected with a locker controller. 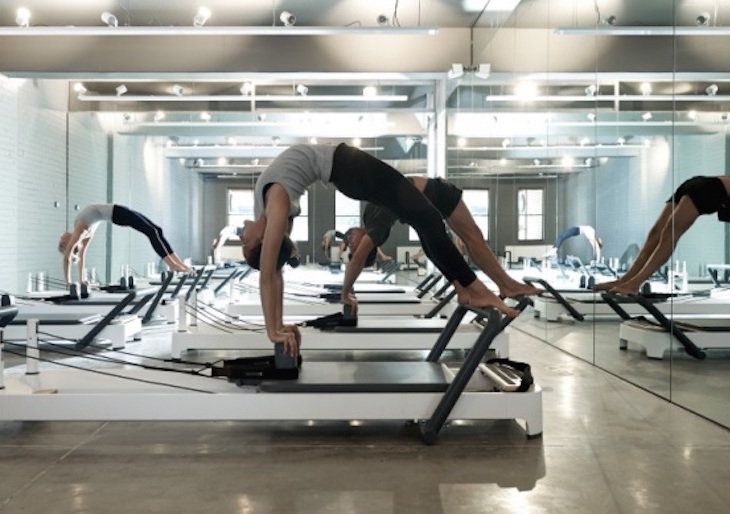 Areas of application include swimming pools, wellness & fitness centres, schools, offices, hotels, golf courses, libraries, hospitals or sporting facilities.